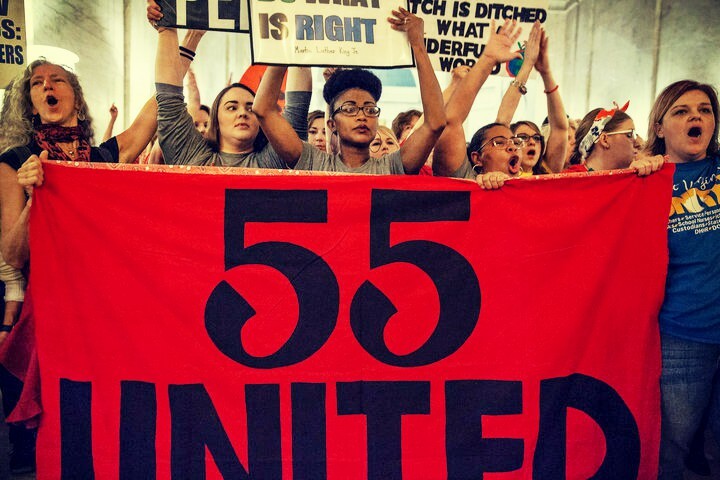 The following is a transcribed talk by a West Virginia teacher who was one of several speakers at the Red & Black Party sponsored by the Labor Sector of Black Rose/Rosa Negra and which was held on April 7th at the 2018 Labor Notes Conference in Chicago. Hi everyone, I’m Michael in Monongalia County, that’s a mouthful so I’m just going to call it “Mon” county. Mon county is the center where WVU is [West Virginia University]. I’m going to tell you about my story. 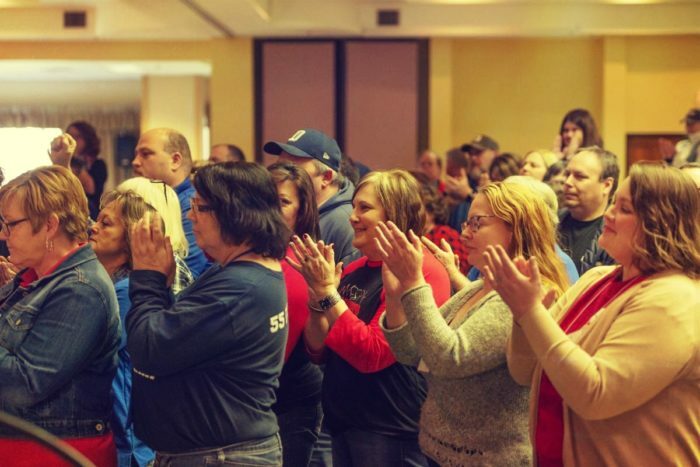 Last summer I was a delegate for my primary union WVEA [West Virginia Educators Association]. They supported Jim Justice, the wealthiest man in West Virginia for governor as a Democrat. A few months later he switched to the Republican Party and the union said ‘Jesus, Lord mercy, what are we going to do now?’ Wll it was on them. So then I wrote an article, didn’t think it going to go anywhere, thought I was just going to vent. It was about why I think we need rank and file, leftist militancy similar to what West Virginia had in 1990. In that year 47 of the 55 counties went on strike and these were actual picket lines where people had to physically stop scabs from going into schools. Luckily we didn’t have that this time. But I wrote this article thinking I’m just going to vent my frustrations but then a month later a comrade send me a text and goes “Hey, we need to talk about your article. I didn’t know there other socialists like myself here thinking about this.” So we started talking, realized he was upset too. What do we do? We set up a facebook group. A packed house at the Red & Back Party hosted by Black Rose/Rosa Negra at the 2018 Labor Notes Conference. This is when it turned into a wildcat strike. 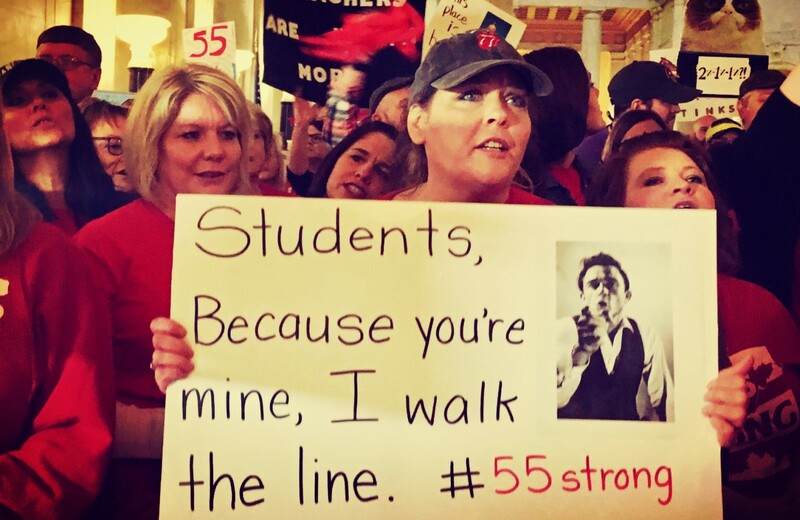 As soon as it became a wildcat strike, all bets were off. Union leaders started realizing they can’t reckon with anyone except the rank and file members. The legislature realized they cannot get any deal done without rank and file member support. And so we now had them both by the balls and it was awesome. 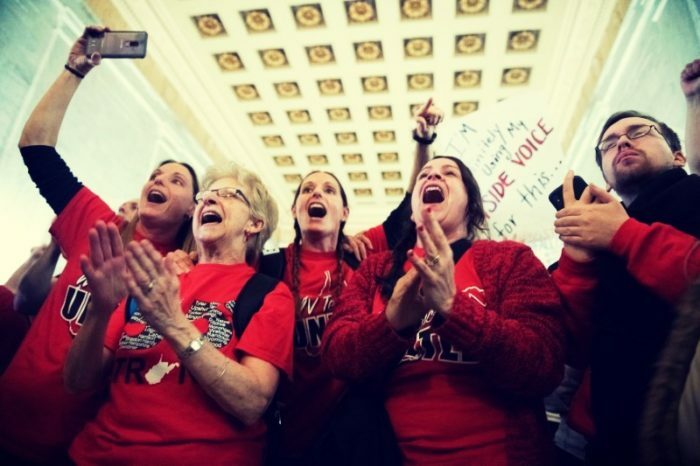 Eventually the strike continues for nine days, it was the longest state-wide strike [for teachers] in West Virginia history, longer than the 1990 strike by one day. 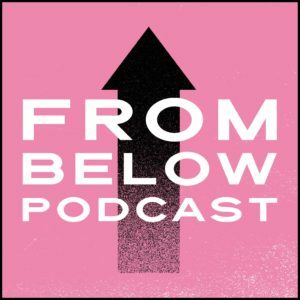 And what I learned during this strike was this: I went on the It’s Going Down podcast to talk about what’s going on in West Virginia and I just happened to mention that I was with the IWW and it was sort of like a throw away – this is my tradition, this is where I needed to organize with, but [it didn’t seem to matter much]. Suddenly the Southern Coordinating Committee [of the IWW] sends me a message and says “What can we do to help?” and from there the rest is history. They started giving me information, they started helping me distribute pamphlets and they start to help me distribute them throughout the state. We focused on working class solidarity and tried to make sure every single person in that state realizes that we’re not we’re not here for Democrats, we’re not here for Republicans, we’re here to help organize the working class, and that resonates with people. The few things I want to take away from this struggle are is that in conservative and reactionary states like West Virginia you can win serious victories there because those are the states that have austerity, the states that have been hit hardest by the recession after 2008. These are the states that have not transitioned from an industrial to a post-industrial economy and these are the states where we can win. These are the states that have a strong working class history of militancy and you can build off of that. The whole reason why we wore these [red bandana worn around neck] is to commemorate Blair Mountain where miners were literally killed by the state. So we drew on that tradition, we drew on the fact that we weren’t relying on politicians. 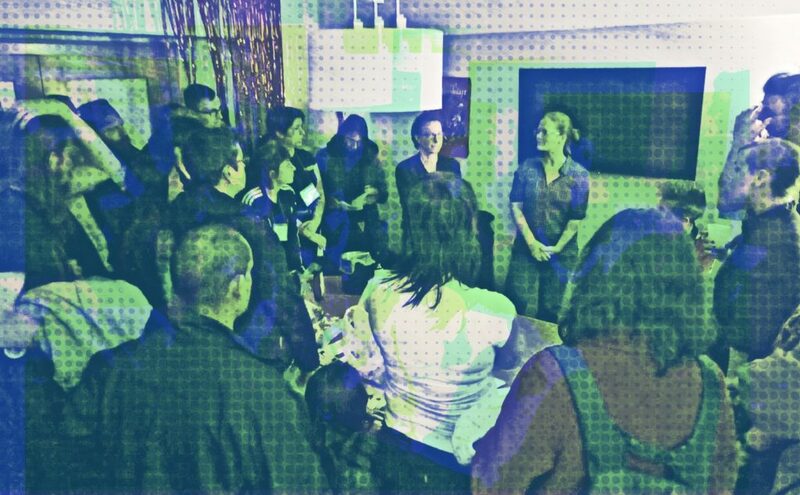 And what we found were these little autonomous groups slowly forming up – each school had their own secret group, each county had their own secret group and every single person was coordinating in a truly democratic fashion where there’s no top-down hierarchical approach. If someone said, “We need to flood the capitol,” it slowly percolated and if there was enough support we could get everyone there all at once because there was enough direct action [oriented militancy], enough support from the people. 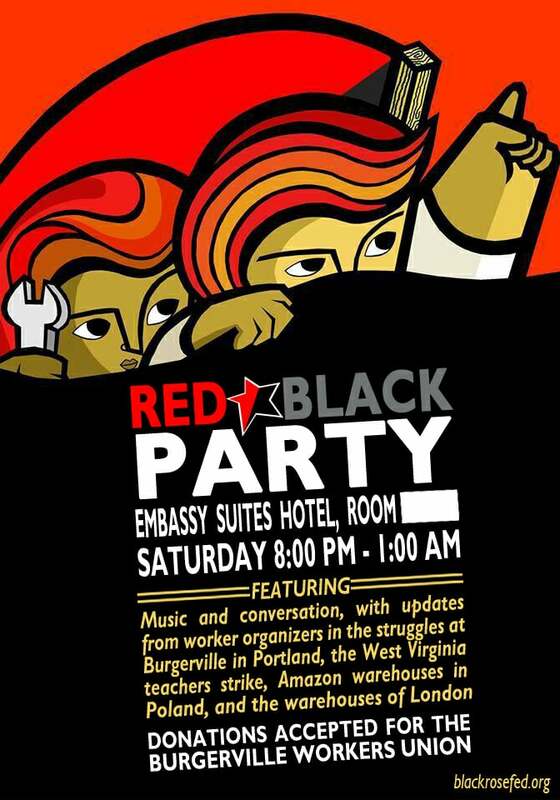 Participants at the Red & Black Party also raised several hundred dollars towards the Burgerville fast food workers campaign and you can read more on their struggle here.